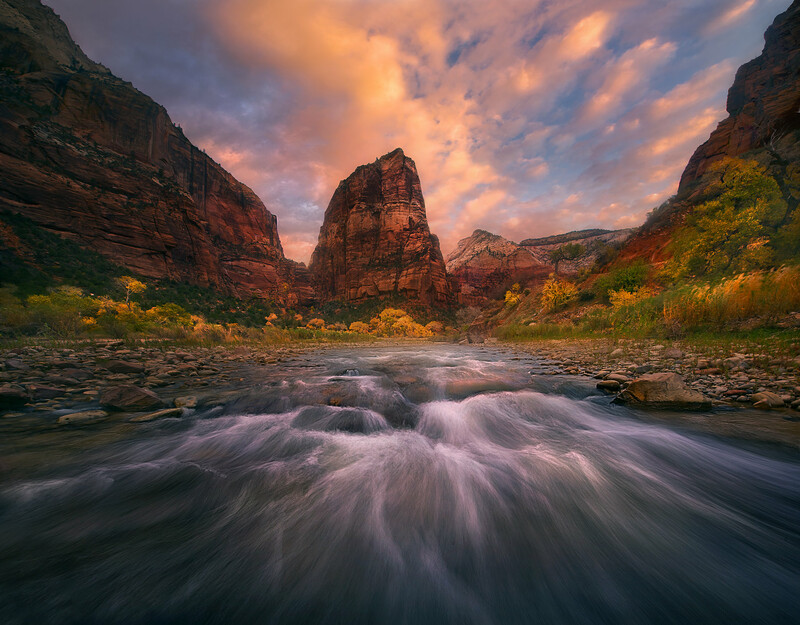 A beautiful view towards Angel's Landing Tower and fall colors in Zion at sunrise photographed from the middle of the Virgin River. Two 14mm shots blended for wide-angle view. Photo © copyright by Marc Adamus.